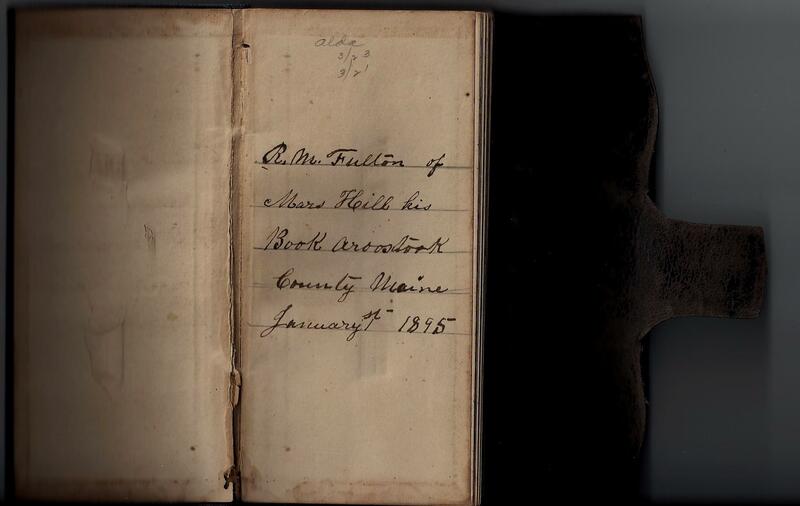 Diaries of Robert Murphy Fulton, Mars Hill Maine | Transcription of the Diaries of Robert M Fulton (1816-1897), resident of Mars Hill, Aroostook County, Maine. Click on About Robert M Fulton to learn about Robert Fulton and his family. To read the diary entries, click on the year in the categories fields in the right hand menu bar. You may also search the site for names and keywords by entering them in the search box on the top right. [ YOURKEYWORD site:fultondiaries.wordpress.com ] in the google searchbox. Mrs. Lydia Blackden passed quietly away on Sunday, Aug. 1 (1920) at the home of her son F. A. Blackden on Silver Street (Mars Hill, Aroostook, Maine). Although she had been in failing health for many years, and for about tow months been confined to her bed, yet her death came as a shock to those who watched at her bedside. She is survived by three sons and three daughters, O. E. Blackden of Presque Isle, G. F. and F. A. of Mars Hill, Mrs. A Sylvester of Westfield, Mrs. J. C. Rundlett of Portsmouth, N. H. and Mrs. N. W. Margison of Mars Hill also grandchildren, greatgrand children and great great grand children, two sisters, Mrs. Henry Littlefield of Belgarde and Mrs J Blackden of Everett, Mass., one brothers, Addison Cookson of Newburg, besides a large circle of other relatives. Mrs. Blackden was born in Greenfield Maine, May 18 1835 therefore being 85 years, 2 months and 12 days old at the time of her death. She was united in marriage to N B Blackden in 1851, and lived in Etna for twenty eight years then removing to Mars Hill where they lived until a few years before the death of her husband being there in Dexter since she has lived in different places with her children. The funeral services were from the late home. Words of comfort were spoken by Rev. Wm. Snow of he M. E. church. Singing by the M E choir. The funeral was in charge of H L Dillen. The pall bearers were four grand sons, Fred, Arthur and Don Sylvester and Dale Blackden. The remains were accompanied to Etna by Mrs. J C Rundlett and Mrs and Mrs R V Morgragn. Interment was made in North Etna cemetery. New all the weary days are over, Care and sorrow are known no more, May you find sweet rest on the other shore, In God’s dear care. 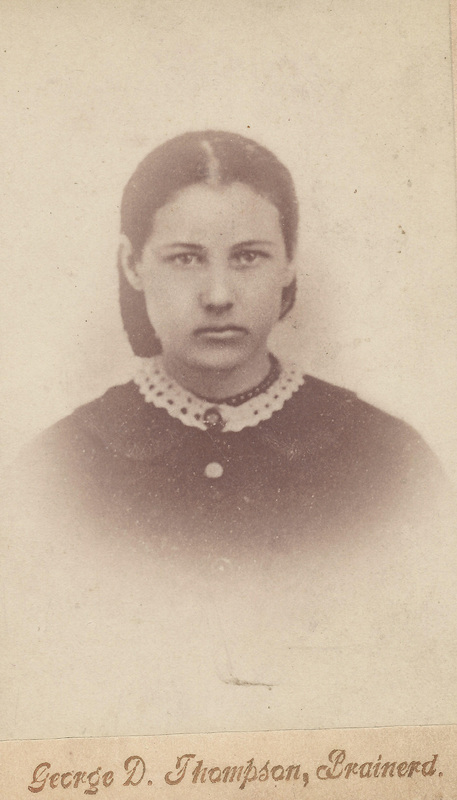 Louisa Webster Fulton, age 16. 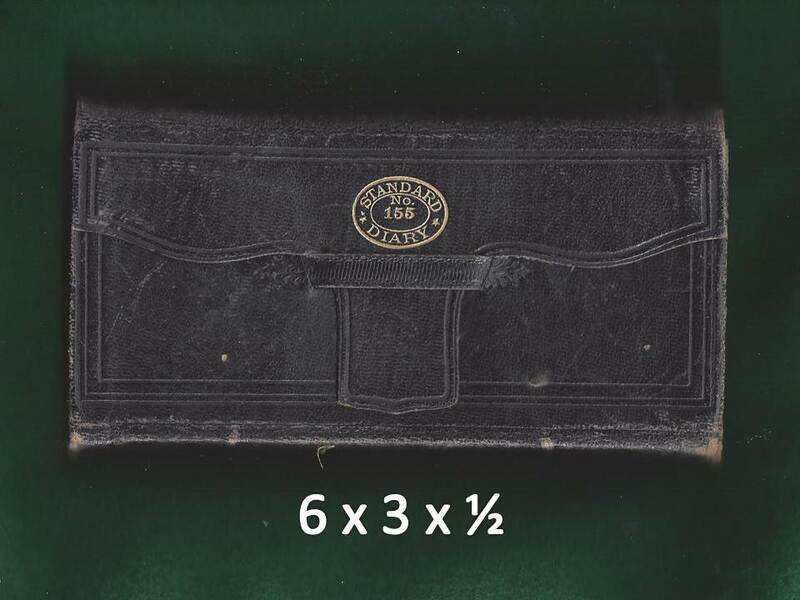 Copy made in Minnesota from original? Louisa Webster, daughter of James W H Webster and Mary Clark, was born on 4 April 1850 or 1851 in St. Stephens New Brunswick. By 1858, she and her family moved to Mars Hill Maine. On 18 Mar 1868, she married Ephriam J Fulton, eldest son of Robert M Fulton and Martha Jones. She and Ephraim had 6 children: Benjamin Franklin, Mabel, Erman, Ethel, Edith, Annie. All were born in Mars Hill except for Annie who was born in Minnesota. Louisa and Ephraim later divorced and she lived with various daughters. Louisa Webster Fulton died on 24 Mar 1925. It is interesting to note that the RM diaries mention a variety of peddlers visiting the town of Mars Hill and the Fulton home. In census years, the immigrants listed their birthplace as Turkey, Syria. As noted in the description on the right, two of the diaries are privately held. 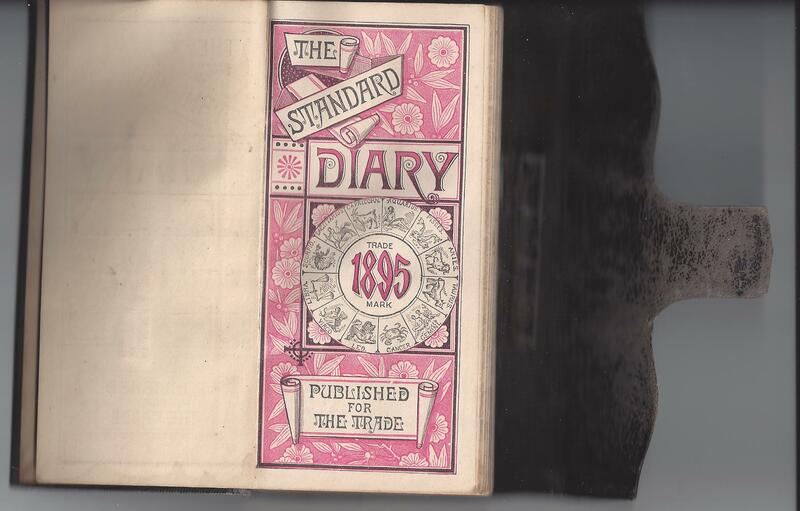 To supplement the transcribed diaries, I thought it might be nice to include a few pictures of an actual diary. thanks Rod! Henry Havelock was born 23 Feb 1871 in Greenfield, New Brunswick, the son of John Bartley and Abigail Fulton. On 24 Oct 1894, he married Mabel Ethel Kennedy in Easton, Maine. In 1904, he moved to Westfield Maine. Children: Henry Earl, Ashton Ray, Ralph Willis, Harold Hale and Leversa Gertrude, Clifford, Raymond Allison, Norvil Elwood, Curtis Albert, Vernon Havelock, Ruth Alice. Havelock died on 09 Jan 1932 and Mabel died on 28 Aug 1962 in Westfield Maine. “Havelock Bartley was born Feb. 23, 1871. The son of John and Abigail (Fulton) Bartley. He was 6’6″ tall and called a mountain’ of a man. So much so that he had to have his axe special made to accommodate his size and strength. Hav, as most called him, married Ethel Kennedy October 24, 1894 in Easton, Maine. 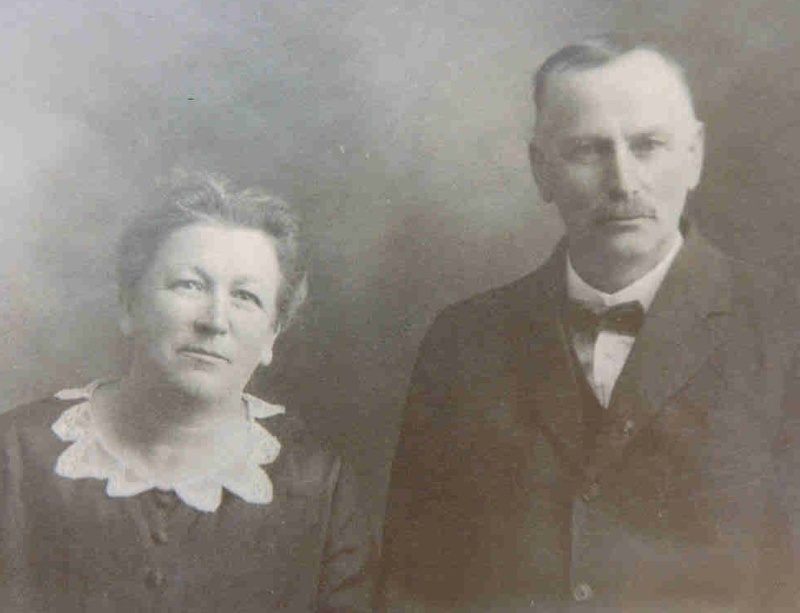 Ethel’s parents were Thomas and Jane Kennedy. E.W. Sprague of Easton, Justice of Peace, performed the ceremony.